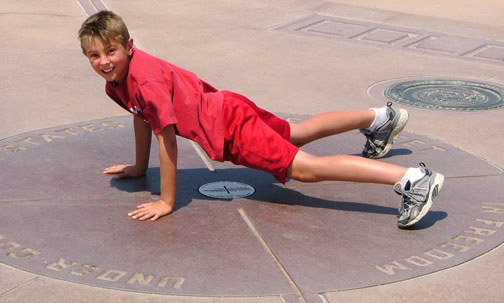 According to the Congressional definition of the boundary of Colorado, this point is theoretically where the 37th parallel north latitude intersects 32 degrees west longitude as measured from the Washington Meridian*. 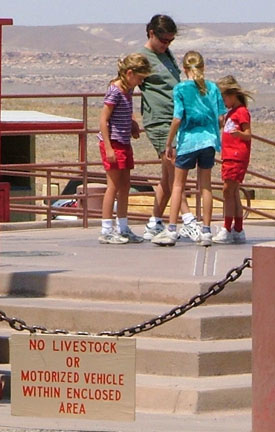 Notice that definition does not mention anything about 109 degrees west of Greenwich -- this boundary was not defined in reference to today's Prime Meridian. 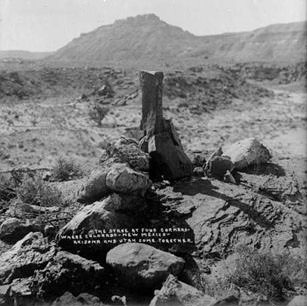 This monument was first set by Chandler Robbins during his 1875 survey -- and due to the technological limitations of his day, it is not exactly in the intended spot. 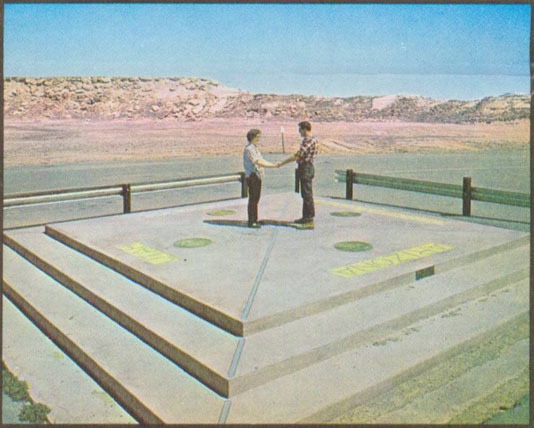 But Robbins' survey was accepted as the border between the states, and his monument was accepted as the point where four state boundaries converge. 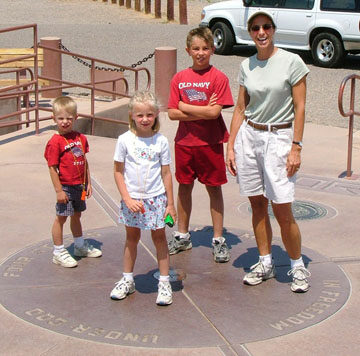 Today, our ability to more accurately pinpoint where the marker should have been placed is irrelevant, because the legally-accepted location of the Four Corners is exactly where the monument is positioned. 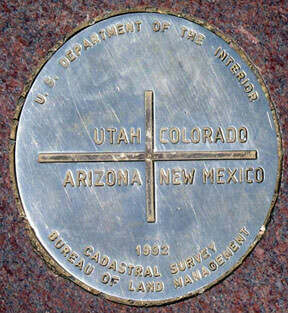 Note: The book "Colorado Mapology" (Erl H. Ellis, 1983, Jende-Hagan Book Corporation) is an excellent resource, from which I obtained much of the information presented on these pages. 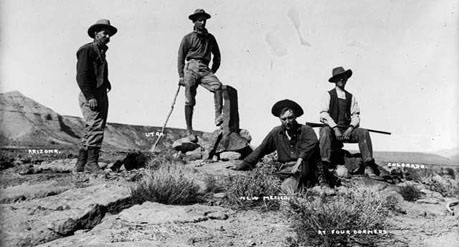 ​The 1908 photos on this page are courtesy of Denver Public Library, Western History Collection. 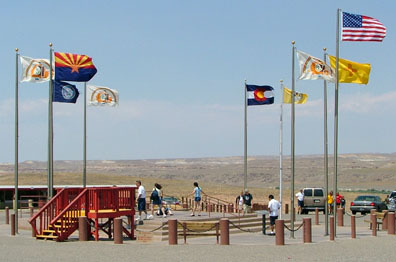 The view there was to the northwest, so from left to right, the men were in Arizona, Utah, New Mexico, and Colorado. 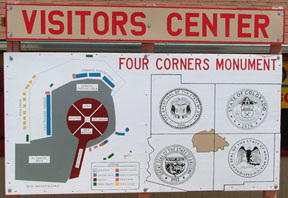 The text at bottom right reads "At Four Corners".